OTE: Tonight’s guest blogpost is from Coach Lauren. 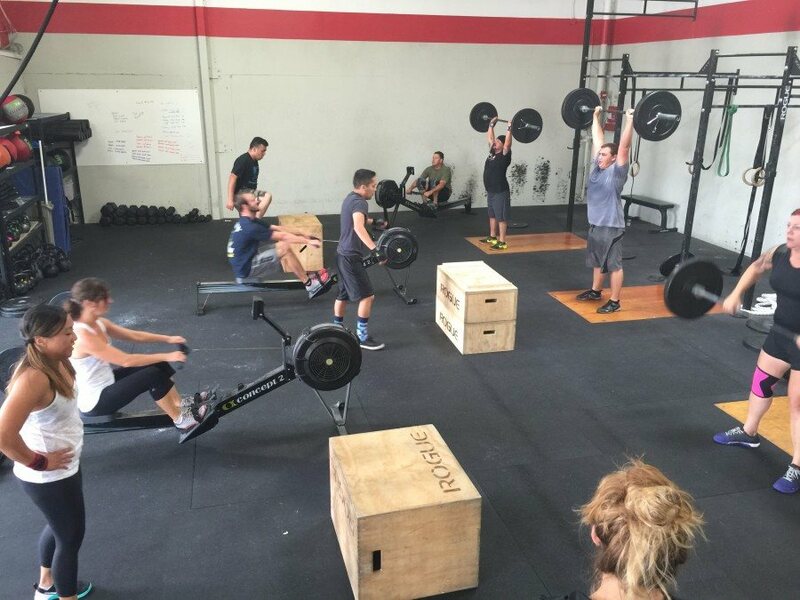 Along with coaching CrossFit, Coach Lauren currently runs our Mobility program at CFA and will be leading it here at CrossFit Watsonville in the future. “You should tell people to do this stretch if they want their legs to get longer,” said Norma A. yesterday. Norma had been talking about… okay lets be honest, complaining about J….. pain behind her knee around the top of her calf and bottom of her hamstring. I told her to grab a women’s barbell and a squat rack. Having her set the bar on the rack which was at hip height, I had her drape her leg over the barbell, apply her bodyweight onto the bar and then bend, straighten, and roll her leg. Right away she felt the barbell hit the sweet spot and after finishing her first side, Norma started laughing, sat down on the ground, and noticed almost a half inch difference in the length of her legs. She was so tight it literally made her a good half inch shorter. After finishing both sides she felt she could actually manage to workout now that her legs where functional. Do not wait until you cannot stand the pain to do something about your tight muscles. Mobility, just like CrossFit, takes dedication and consistency to see results. Cut out 15 minutes a day, or every other day, to dedicate to stretching out your muscles, not only will you feel better but you will see performance improvements! Who wouldn’t want that?!?!?! Pictured: The CFW/CFA pre Beach Day WOD!